I had forgotten how much dye ink sprays can seep through, as shown by the last photo, eep! Evelyn reassured me not to worry : ) Below is how I finished my spread in Evelyn's Letter Journal . . . click on any photo for full size. When I was done I mailed it to Anne in Germany to add a page or two. This was the first time I worked in another person's Letter Journal and it went smoothly, despite the seepage of ink. Nothing too disastrous and now I have learned! 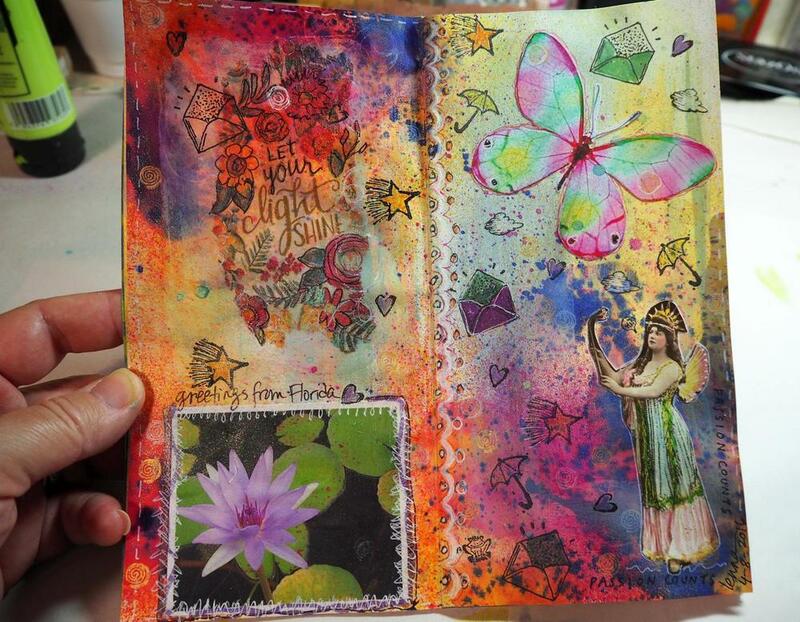 Use a light touch or spray papers separately and then add them to the Journal. I am enjoying this new collaborative art exchange!